Meditation helps improve your sleep and stay healthy in today's stressful life. By using meditation apps you can practice mindfulness and take short relaxation breaks. There are plenty of Apps in Google Play Store that allows you to practice meditation. In this review, we discuss some of the popular meditation apps for Android. Stressful lifestyle has made it harder for many of us to be healthy in our life. 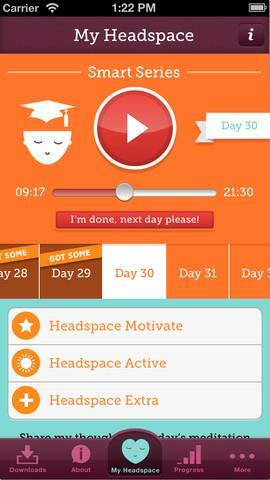 Meditation apps can be useful to practice mindfulness on everyday basis. You can make use of the Meditation apps to relax and practice gratitude. Here are some of the Meditation Android Apps that you can find on Google Play Store. This app is available in both free and paid versions. With free version you get the basic guided meditation session for free. It also includes plenty of mood sounds and the looped backgrounds. The most popular looped backgrounds are the forest river and beach, which also come pre-installed by default. The free app doesn't include any guided sessions for mindfulness and other trails. The paid plans start from $2.99 onwards. You can also unlock individual guided sessions. As the name suggests, every sound selected inside the app makes your head get into the calm mode. It is one of the best relaxation app designed for Android. If you are limited with the budget then this app is one of the best to choose for relaxation and meditation sessions. This app takes a different approach towards the meditation and relaxation. It includes a wheel where you can choose the type of mood you're in and then select the relaxation based on that. The app will show you the number of options which can be good for the relaxation. By customizing the Buddhify you can create your own mindfulness experience. It can be suitable for workplace as well as home or outdoor, where you wish to get some calm time with yourself. 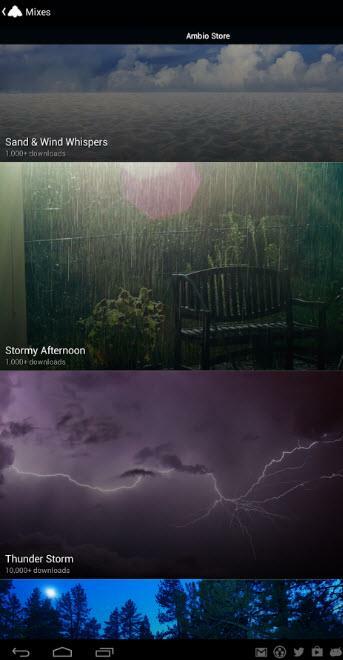 The only problem with this app is that it forces it's own set of sounds and mood experience on you. However in future this may get some update and you'd be able to customize more parts of this app. Unlike Calm, this app focuses purely on the Mindfulness niche. It has some of the shorter and longer period of guided sessions. The shorter sessions are good enough for the short meditation breaks. The longer sessions are perfect for the mindfulness reminders and keeping your head stress free. The app has clear focus on the mood, sound and the visual aspect of the session. This is the reason the app is one of the popular on Google Play Store. It has both paid and free versions. However to get the most out of this app you may have to eventually upgrade for some parts of the app. It started out as an web app and then eventually evolved into mobile app. It doesn't give you default options for meditations with some specific sounds. However the app has an option to customize your experience of meditation. It let's you select from the bunch of white noise sounds. You can then make a looped sound that you can use for relaxation or meditation session. Some of the popular sounds include - train, forest, rain, coffee shop etc. At first it is hard to design the right type of sound for you. But once you understand how to setup a loop with multiple sounds, you can customize one loop for yourself. The app is free to download and use for now but in future it may likely have in-app purchases. 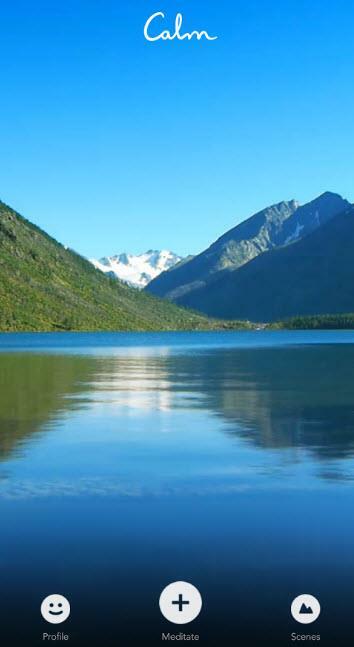 This app is suitable for those who wish to experience different ambient sounds around them. This app itself is free of cost but includes the paid sounds to support it's development. It has wide range of ambient sounds to choose from and you can also customize the playlist too. Also the app includes some of the paid ambiance loops for those who want premium sounds for their experience. Though for those with the tight budget can find the built in free sounds useful enough for their everyday sessions. I'd say if you're more into ambient relaxation experience, then this is the app to choose. This app is not limited to Android and allows multiple options to use their service. It has plenty of short meditation guides. You can use those short breaks to distress yourself. Some of the best short sessions you can try are - On-the-Go and SOS. These two have designed for short relaxation content. In terms of the relaxation, it offers many small benefits with these sessions. After app such as Calm, this is the only app that has some specific guided sessions that are helpful for mental health. The app has managed to get a lot of positive reviews. And it is one of the popular app on the Google Play Store. It has free version and includes In-app purchase for upgrades. You may find many other interesting meditation apps in the Google Play Store. Some of those apps include premium content for the meditation and chanting. A lot of apps are specific with Buddhist approach of meditation and it reflects in their premium content. However if you just want to get relaxed then above listed apps can be useful. These apps indeed serve you to relax. Much needed in the current lifestyle which leaves no room for self, it would indeed be a good collection. But, the question is - do we get enough to time meditate? Meditation has been found useful in conditions like sleep disorders, depression and such issues. It has also been considered to be effective in cancer treatment and heart ailments. Yes the lifestyle issues have led to problems such as anxiety and depression. However time for the meditation is possible. I personally use the Calm app before getting sleep. It helps me get some sleep and also works on anxiety. Not all apps are same. Some may work on depression and other issues and some just are good enough for meditation. Specific set of sounds like white noise and few other noise work on mind very effectively.